Thanks largely to Product Hunt, a powerful startup community I featured in my last post, new PR tools are starting to emerge in an arena where finding them (the first step) and evaluating their worth has become a fairly simple process. 1. CoverageBook: how often in PR are we tasked with putting together a media clipbook, or a coverage book for our clients? Depending upon how successful your team's campaign has been this project could be fairly simple or mind-bogglingly large. Even in the case of simple, you are still forced to choose a platform to display said coverage that is likely outside your wheelhouse of skills. Can you make a pretty presentation in PowerPoint? Can anyone afford BurrellesLuce? CoverageBook not only helps build a pretty presentation, but also kills it on metrics and its user interface saves hours, perhaps days worth of time and resources. Can you drop links into a web form and click, 'go'? It is actually that simple. In fact, we used it the other day to put together a book of the year's top hits for one of our clients and have embedded a sample below. The book embedded above only included 14 hits, which took a mere 10 minutes to produce. Another book we produced for this client included 114 hits, which took about an hour to produce from soup to nuts. Minus CoverageBook the larger project would have taken days to produce. 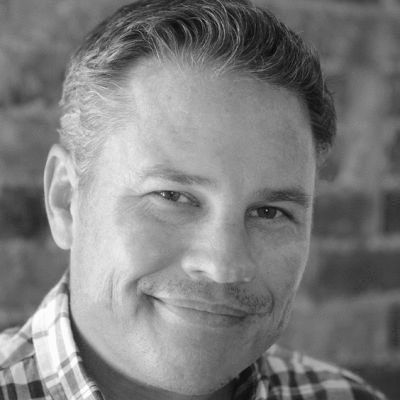 According to maker Gary Preston, "in five months we've gone from zero to 2,000 users across 280 cities and counting. We're over the moon and humbled by the reception it's getting from PR professionals." 2. CrystalKnows: frighteningly, Crystal really does know. Do you want to glean some intelligence on that reporter you are about to pitch? Ask Crystal. In fact, skip going to Cision for answers (because you know Cision's recommendations are truly bogus) and simply ask Crystal. 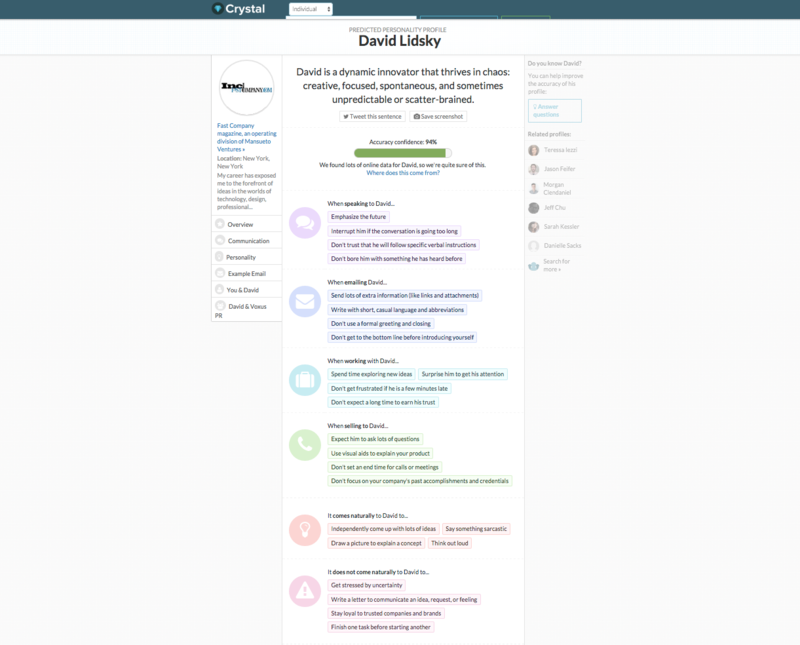 Crystal is a Gmail plugin that according to the company, "tells you the best way to communicate with any coworker, prospect, or customer based on their unique personality." Pricing ranges from $19 per month for an apprentice subscription to $99 per month for an enterprise subscription. That seems cheap for such intelligence. 3. Just Reach Out: created by Criminally Prolific, a team of 'growth hackers, inbound marketers and PR hustlers,' Just Reach Out is a DIY media relations tool designed to help entrepreneurs and startup companies that cannot yet afford a PR firm do their own PR. While I would not recommend stepping into the fire alone as an entrepreneur without at least some form of PR counsel, I would recommend Just Reach Out to anyone forced into a cockroach-mode type of situation. How does it work? The user conducts a search on the site for a topic, which returns a list of published stories by writers who have covered that topic. That allows the user to identify the 'right' reporter or editor, which is sometimes half the battle in PR. 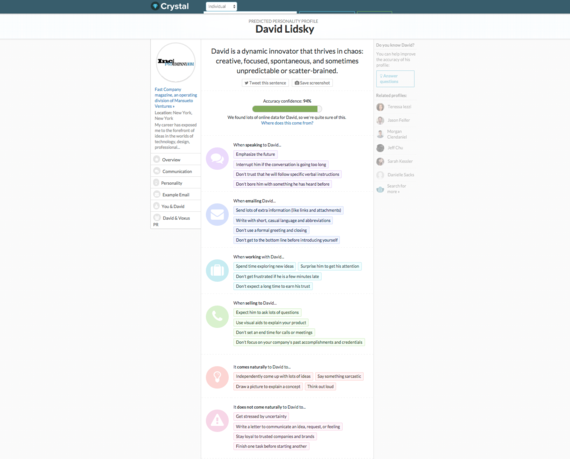 Then, it encourages the user to send their email pitch to the Criminally Prolific team for edits and suggestions in terms of topic and format. The user receives their edited pitch within 24 hours and is then free to send that pitch to the chosen media. Essentially it is like having a free PR counselor looking over your shoulder. 4. PR.CO: another DIY PR tool designed to help entrepreneurs and startups manage the PR process. In this case the user is basically given a newsroom to operate from where the UX is appealing, but at the end of the day it falls behind Just Reach Out from a power perspective because of its focus on the dying news release. Again, this tool is still in beta form and should be given some time to evolve before being criticized, and it deserves props for trying to replace the old, bothered PR Newswire model. It's pricing is fair too, starting out at $300 and maxing out at $2,250 for a yearly subscription. 5. Email Hunter: billed as, "direct access to all the web's email addresses," my jaw dropped at the possibilities this product brings. In a perfect world, I could combine this tool with Crystal and simply cancel Cision! Yet, the Email Hunter has a way to go before I would consider it ready for prime time. The product is very beta. If it evolves as hoped, however, PR people around the world will rejoice! And there you have it -- a short list of cool PR tools to try today. Do you use any new PR tools you think are missing from this list? Please leave a comment below.